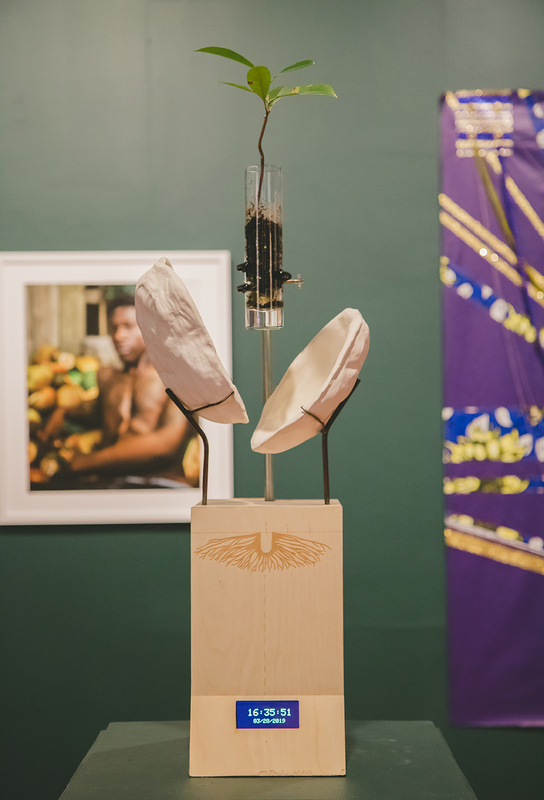 Collaboration with A. L. Major currently exhibiting at the National Gallery of The Bahamas, National Exhibition 9 titled, The Fruit & The Seed. If something as simple as a coconut can be considered a fruit, a nut and a seed, Seedling considers the ways in which one’s definition of self-manifests. 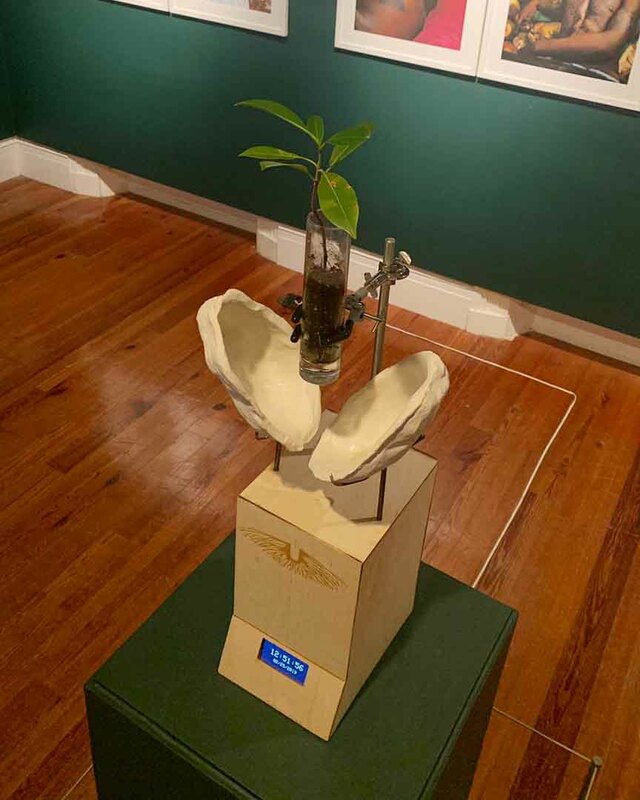 Leveraging the debated historic origin of the nomadic coconut, as a seed that float-distributed itself riding ocean currents, the piece sends messages from afar to a place called home via a seedling waiting to be planted. As childhood nostalgia collides with adulthood realities, themes of identity intersect with displacement from one’s family, community and country in an experiment of nature versus nurture. The sometimes-painful juxtaposition of these concepts emerges as a chorus of voices at the top each hour serenades a budding dilly sprout protected by a split porcelain shell of a coconut. Click below to listen to sound.